I replaced another set of portable headphones last week. 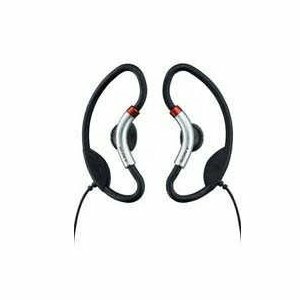 I've had my studio "cans" for a couple decades, but I can't find portable headphones or earbuds that hold up. These signature white headphones are instantly recognizable. I don't want to advertise my product brands, so I'm not a fan of the white cord. They hold up though - mine got handed down with the iPod Shuffle. Pros: rigid style earbuds are good for working out and let you hear your environment. Cons: not great audio quality, not very comfortable. Much more comfortable than the original round earbuds. Still the giveaway white. Not sure on durability... See the note in "Cons." Pros: comfortable, doesn't seal your ear, good cable length, switch is realiable, mic quality is surprisingly good. I originally bought these for my Walkman back in the 90's. The earbuds still work, but the headband recently broke. Pros: Stayed in place. Good cables. Cons: Super-dorkey by today's standards. Not too comfortable. Sometime channeled sweat into the ear. Basically hearing protectors with sound input. Decent job as hearing protectors. Terrible audio quality. I keep a set in my work bag as backup in case I forget my regular headphones. Audio quality: Usable for voice podcasts and such, but too thin and tinny to enjoy music. Durability: Seem pretty solid. 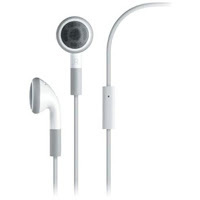 Don't use mine a lot but everything seems a bit sturdier than most earbuds. Pros: Sound-limiting in-line volume control. Very good sound isolation. Nice little bag and accessories. Cheap. Cons: Bad sound. 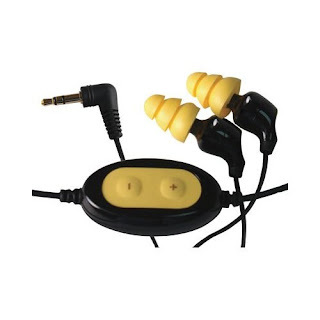 Like similar hearing protectors, you need to tug your ear to seat these properly. There's a lot to love about these. 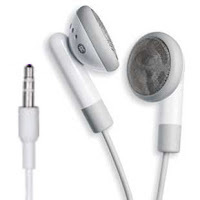 These are "gasket" sound-isolating-style earbuds. Audio quality is good. The black fabric-covered cord combined with the shiny black plastic and the black silicone make them a beautiful black-on-black tone painting. Dressy, comfortable, and they sound good to boot. Audio quality: Good. Bass seems a bit pronounced. Durability: My right speaker quit working after using these daily for about three months. Pros: GORGEOUS, sound great, the texture of the fabric-covered cord is real nice. The sound-isolating gaskets are great for tuning out the other riders on the bus. Comes with a very nice and very small carrying case which keeps them neatly in my work bag or pocket. Microphone sounds great and the button has a very positive action. Cons: I don't like sound-isolating earbuds for walking or working out. The fabric-covered cord absorbs moisture and isn't as easy to clean as plastic-covered cords if you get mustard on it... Mine weren't able to hold up to daily use, but that might just be my experience. Update: Looking at other online reviews, it looks like durability has been a problem for other users as well. An around-the-ear loop holds these in place while a fairly large driver sits loosely in the ear. Audio quality: Very good. Nice open sound. Not as much thumpy bass as some of the sound-isolating earbuds, but very natural sound. Pros: Sound quality was great with a number of musical styles and voices. The cord has a cinch to move where the two cords come together. The clip is large and locks securely. (That was a problem on previous Sony earbuds.) Cable length is good and works well in both shirt pocket and pants pocket. They stay in place. Comfortable. Don't really interfere with my glasses. Cons: Concerned about the gauge of the wire. Like most of the current portable earphones, these seem very wimpy and likely to fail. The left-right labeling isn't very clear: A molded-in letter on the loop, and raised dots on the body indicate the side. But the dots are way too small the letter is black-on-black. It would have been simple to have different colors on the small colored band. Wish they had a model for iPhone with a microphone and switch. Because you have to stick your ear through the loop, they are a little clumsy to put on. I'm currently wearing the Sony MDR-AS20J's for walking and got new Apple iPhone Earphones for making calls. After looking at my headphone history, the single clearest indicator of headphone longevity is the diameter of the cord. The Apple cords are much thicker. I don't know if the actual wire is of a heavier gauge or if they simply has a more durable sheath, but they last much longer than the competition.